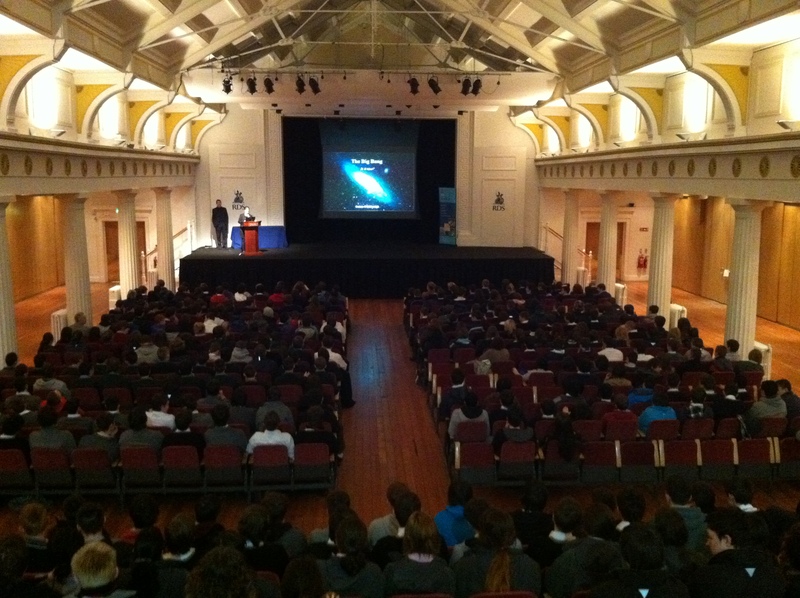 This weekend I attended the annual meeting of the Institute of Physics in Ireland. I always enjoy these meetings – more relaxing than a technical conference and a great way of keeping in touch with physicists from all over the country. As ever, there were a number of interesting presentations, plenty of discussions of science and philosophy over breakfast, lunch and dinner, all topped off by the annual awarding of the Rosse Medal, a highly competitive competition for physics postgraduates across the nation. The theme of this year’s meeting was ‘A Climate of Change’ and thus the programme included several talks on the highly topical subject of anthropogenic climate change. First up was ‘The science of climate change’, a cracking talk on the basic physics of climate change by Professor Joanna Haigh of Imperial College London. This was followed by ‘Climate change: where we are post the IPCC report and COP24’, an excellent presentation by Professor John Sweeney of Maynooth University on the latest results from the IPCC. Then it was my turn. 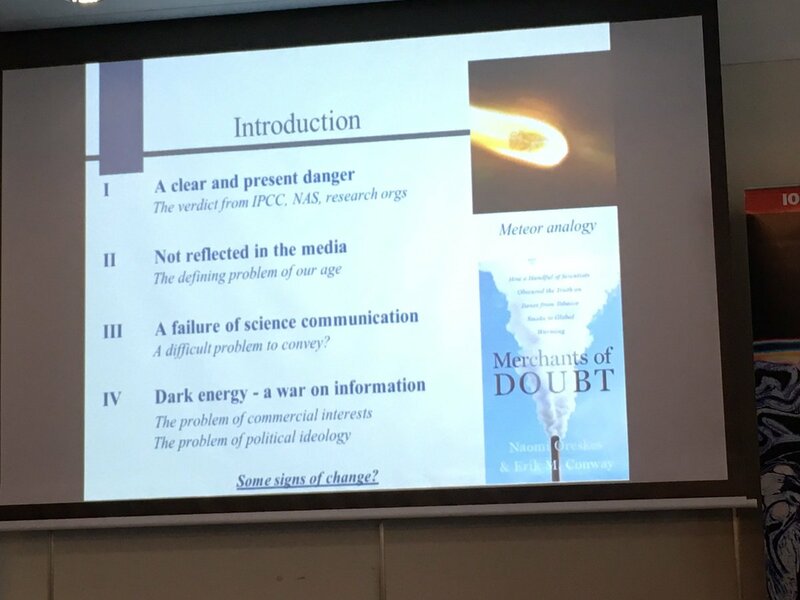 In ‘Climate science in the media – a war on information?’, I compared the coverage of climate change in the media with that of other scientific topics such as medical science and and big bang cosmology. My conclusion was that climate change is a difficult subject to convey to the public, and matters are not helped by actors who deliberately attempt to muddle the science and downplay the threat. You can find details of the full conference programme here and the slides for my own talk are here. There followed by a panel discussion in which Professor Haigh, Professor Sweeney and I answered questions from the floor on climate science. I don’t always enjoy panel discussions, but I think this one was useful thanks to some excellent chairing by Paul Hardaker of the Institute of Physics. After lunch, we were treated to a truly fascinating seminar: ‘Tropical storms, hurricanes, or just a very windy day? : Making environmental science accessible through Irish Sign Language’, by Dr Elizabeth Mathews of Dublin City University, on the challenge of making media descriptions of threats such as storms hurricanes and climate change accessible to deaf people. This was followed by a most informative talk by Dr Bajram Zeqiri of the National Physical Laboratory on the recent redefinition of the kilogram, ‘The measure of all things: redefinition of the kilogram, the kelvin, the ampere and the mole’. Finally, we had the hardest part of the day, the business of trying to select the best postgraduate posters and choosing a winner from the shortlist. As usual, I was blown away by the standard, far ahead of anything I or my colleagues ever produced. In the end, the Rosse Medal was awarded to Sarah Markham of the University of Limerick for a truly impressive poster and presentation. This week saw a most enjoyable conference on the history of physics at the Institute of Physics in London. The IoP has had an active subgroup in the history of physics for many years, complete with its own newsletter, but this was the group’s first official workshop for a long while. It proved to be a most enjoyable and informative occasion, I hope it is the first of many to come. There were plenty of talks on what might be called ‘classical history’, such as Maxwell, Kelvin and the Inverse Square law of Electrostatics (by Isobel Falconer of the University of St. Andrews) and Newton’s First Law – a History (by Paul Ranford of University College London), while the more socially-minded historian might have enjoyed talks such as Psychical and Optical Research; Between Lord Rayleigh’s Naturalism and Dualism (by Gregory Bridgman of the University of Cambridge) and The Paradigm Shift of Physics -Religion-Unbelief Relationship from the Renaissance to the 21st Century (by Elisabetta Canetta of St Mary’s University). Of particular interest to me were a number of excellent talks drawn from the history of 20th century physics, such as A Partial History of Cosmic Ray Research in the UK (by the leading cosmic ray physicist Alan Watson), The Origins and Development of Free-Electron Lasers in the UK (by Elaine Seddon of Daresbury Laboratory), When Condensed Matter became King (by Joseph Martin of the University of Cambridge), and Symmetries: On Physical and Aesthetic Argument in the Development of Relativity (by Richard Staley of the University of Cambridge). The official conference programme can be viewed here. My own talk, Interrogating the Legend of Einstein’s “Biggest Blunder”, was a brief synopsis of our recent paper on this topic, soon to appear in the journal Physics in Perspective. 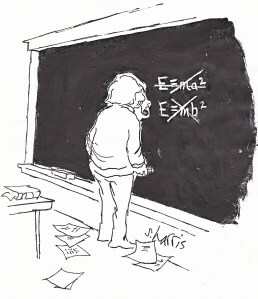 Essentially our finding is that, despite recent doubts about the story, the evidence suggests that Einstein certainly did come to view his introduction of the cosmological constant term to the field equations as a serious blunder and almost certainly did declare the term his “biggest blunder” on at least one occasion. Given his awareness of contemporaneous problems such as the age of the universe predicted by cosmologies without the term, this finding has some relevance to those of today’s cosmologists who seek to describe the recently-discovered acceleration in cosmic expansion without a cosmological constant. The slides for the talk can be found here. I must admit I missed a trick at question time. Asked about other examples of ‘fudge factors’ that were introduced and later regretted, I forgot the obvious one. In 1900, Max Planck suggested that energy transfer between oscillators somehow occurs in small packets or ‘quanta’ of energy in order to successfully predict the spectrum of radiation from a hot body. However, he saw this as a mathematical device and was not at all supportive of the more general postulate of the ‘light quantum’ when it was proposed by a young Einstein in 1905. Indeed, Planck rejected the light quantum for many years. All in all, a superb conference. It was also a pleasure to visit London once again. As always, I booked a cheap ‘ n’ cheerful hotel in the city centre, walkable to the conference. On my way to the meeting, I walked past Madame Tussauds, the Royal Academy of Music, and had breakfast at the tennis courts in Regent’s Park. What a city! 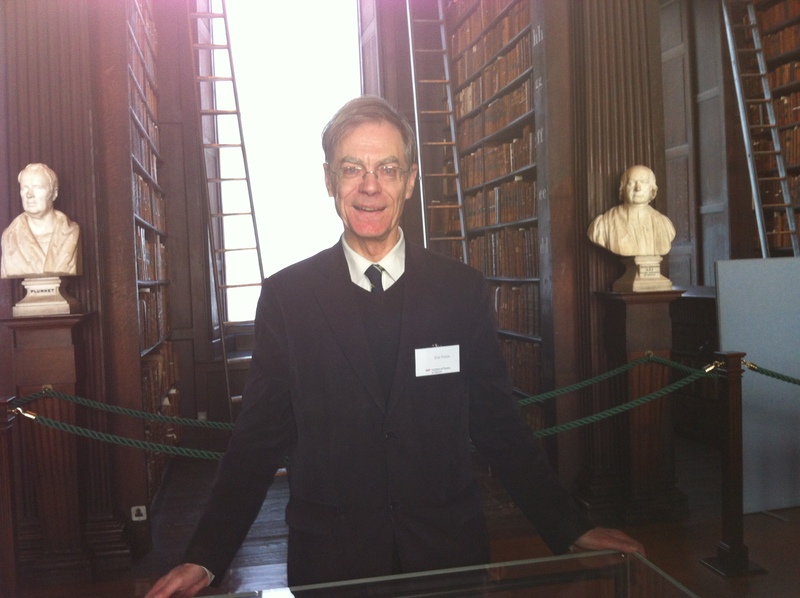 I spent last weekend at the Frontiers of Physics conference at Trinity College Dublin. 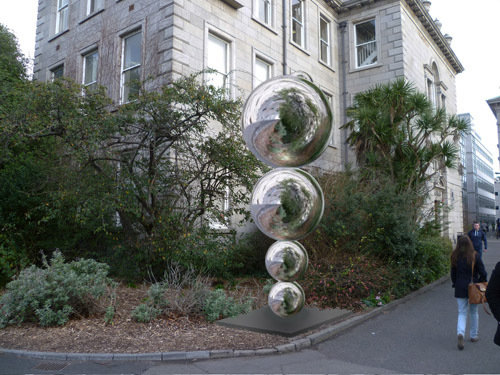 This is an annual meeting hosted by the Institute of Physics in Ireland; the aim is to establish links with secondary schools all over the country and to present the latest developments in physics and physics teaching. This year it was Trinity’s turn to host the conference and it was excellent, not least due to the superb organisation of IoP teaching coordinators Paul Nugent and David Keenahan. 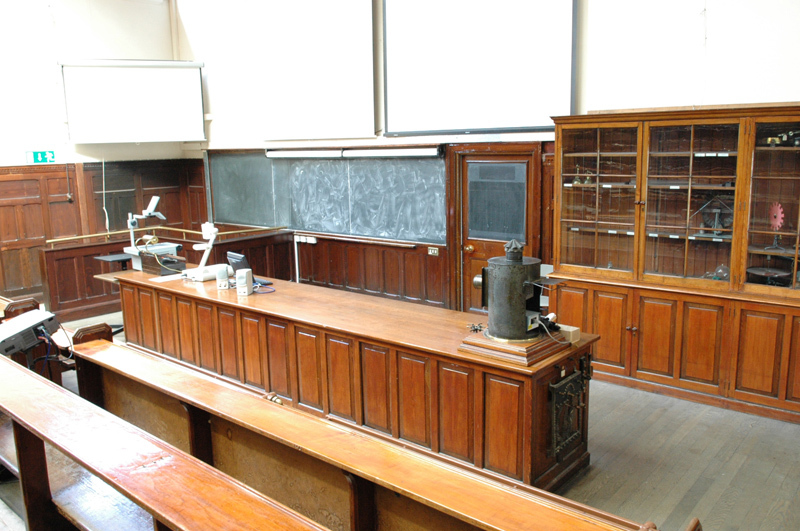 Saturday morning featured some great lectures in the historic Schrödinger lecture theatre, located in the Fitzgerald building of Trinity’s School of Physics. Visiting this building always feels like coming home for me, as I did my PhD in one of the labs downstairs and gave tutorials in the Schrödinger theatre as a postgrad. The library on the second floor of the Fitzgerald building is becoming a notable science museum, with exhibits for many great scientists associated with Trinity such as Preston, Joly, Fitzgerald and Walton. (Schrödinger himself was a Professor at the Dublin Institute for Advanced Studies, not Trinity, but the theatre is named after the famous ‘What is Life? ‘ series of public lectures he gave there there). I won’t describe the lectures in detail, but three stood out for me: ‘Tuning in the radio sun’, a description of solar astronomy at Birr Castle by Prof Peter Gallagher, head of the solar physics group at Trinity: ‘Tiny but mighty’ , a superb introductory lecture on nanotechnology by Prof Jonathan Coleman, head of the low-dimensional nanostructures group at Trinity: and ‘CERN, the LHC and the Higgs boson’ by Steve Myers, director of accelerators and technology at CERN. 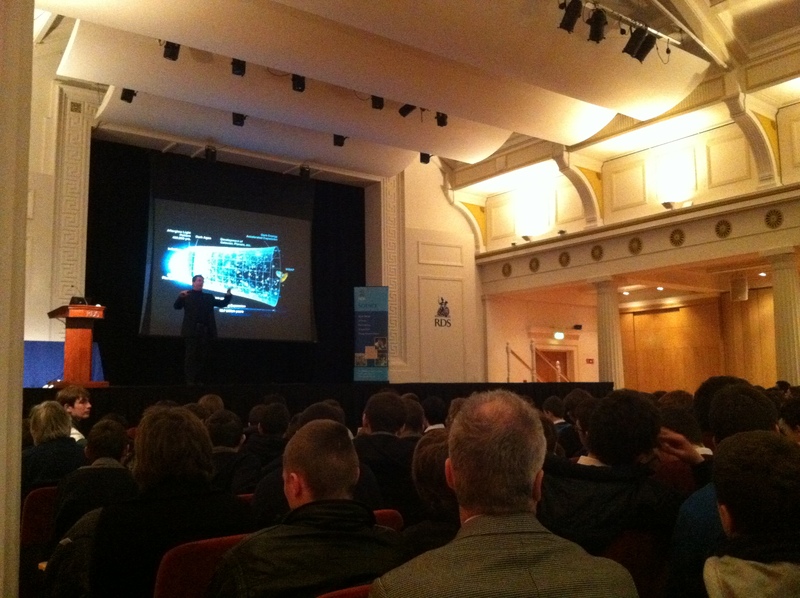 Yes, that Steve Myers, the Belfast-born director of accelerators at CERN. Steve gives great talks on the nuts-and-bolts of the Large Hadron Collider and this was the main reason I was at the meeting. I’m scheduled to give yet another talk on the Higgs boson next month, so it’s important to catch lectures like this whenever I can. There’s nothing like hearing details of the experiment from the horse’s mouth and Steve certainly didn’t disappoint. On the teaching of physics, Dr Karen Bultitude of University College London gave an interesting lecture on ‘Gender Aware Teaching Practice’. As everyone in the discipline knows, a marked gender imbalance persists amongst students choosing physics; Karen’s main point was that all of the research done in this area indicates that making physics more ‘girly’ simply does not work, and she had some important tips for making physics more approachable for both genders. (Once more, it raises the question how a certain video at the European Comission ever saw the light of day, but let’s not go there). 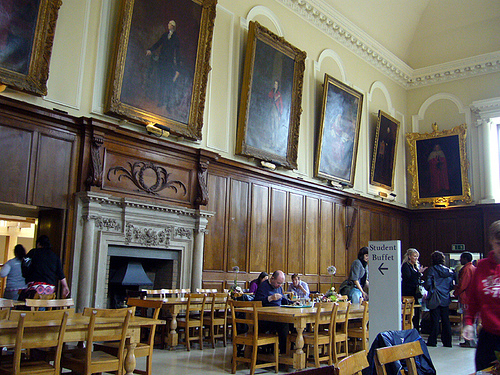 After the lectures, we were treated to lunch in Trinity Dining Hall; I think those who had not visited the college before were blown away by the Hall and by the walk across Front Square. Maybe I notice this sort of thing more after another trip to the US (see previous post), but the best was yet to come..
After lunch, we were treated to an exhibition of Walton memorabilia by Dr Eric Finch. (Ernest Walton, a former Head of Physics at Trinity, won a Nobel prize for splitting the atomic nucleus with Cockroft in 1932). Eric had many fascinating things to show us, not least the famous letter where the brilliant young scientist describes his ‘red-letter day’ to his fiancee. Best of all, the exhibition is currently situated in Trinity’s Long Room, one of the most famous libraries in the world and a sight well worth seeing in it’s own right. Finally, we all trooped back to the physics department to see the Monck observatory. 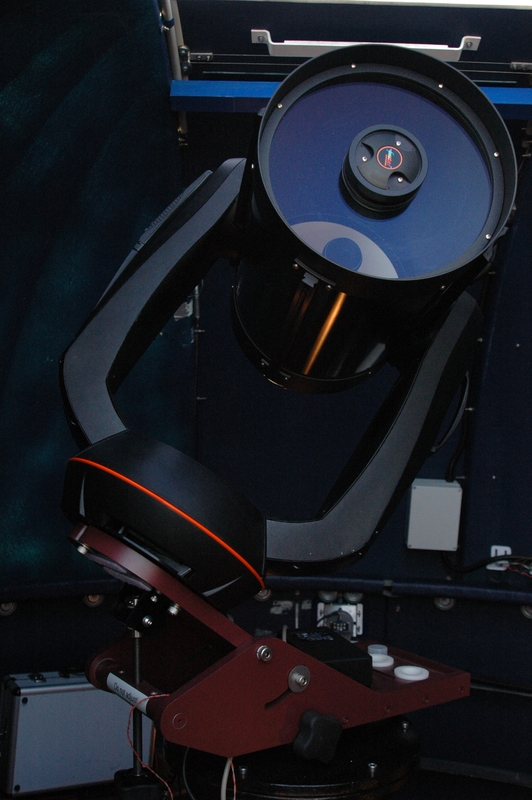 Since my time at the college, an observatory has been installed on the roof of the Fitzgerald building, consisting of an Atmospheric and Space Weather Monitor (outside radio antenna) and a Schmitt reflecting telescope (inside the dome, see below). 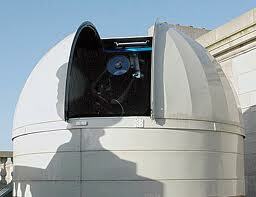 Brian Espey, Professor of astrophysics at TCD, described the operation of the telescope and we each had a peep. The observatory must be one of the most centrally located telescopes anywhere in the world- however, apparently the light pollution is not as bad as you might expect because the college is a quiet island in the centre of the city at night. I’m told the main problem is the use of floodlights for rugby practice! 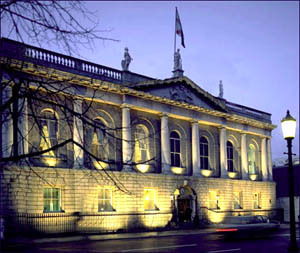 I attended a very enjoyable blacktie dinner at the posh Royal College of Surgeons in Dublin on Friday. 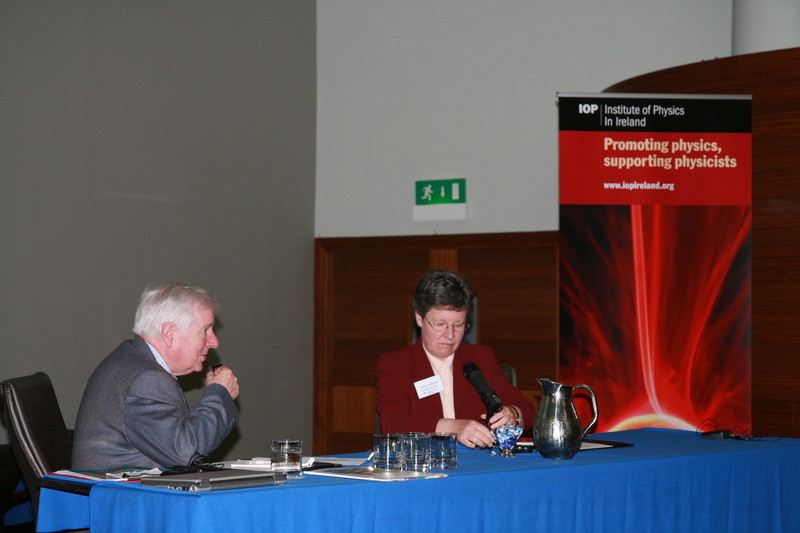 The occasion was the annual meeting of the Institute of Physics in Ireland, the Irish branch of the umbrella group for physics in the UK in Ireland. I always enjoy these occasions, it’s a great way to catch up with colleagues from schools and colleges around the country. This year was no exception and the evening also featured a very enjoyable pre-dinner lecture by Nobel laureate Bill Phillips. In previous years, the IoP meeting stretched over a weekend but we decided to try a single-day meeting this year. 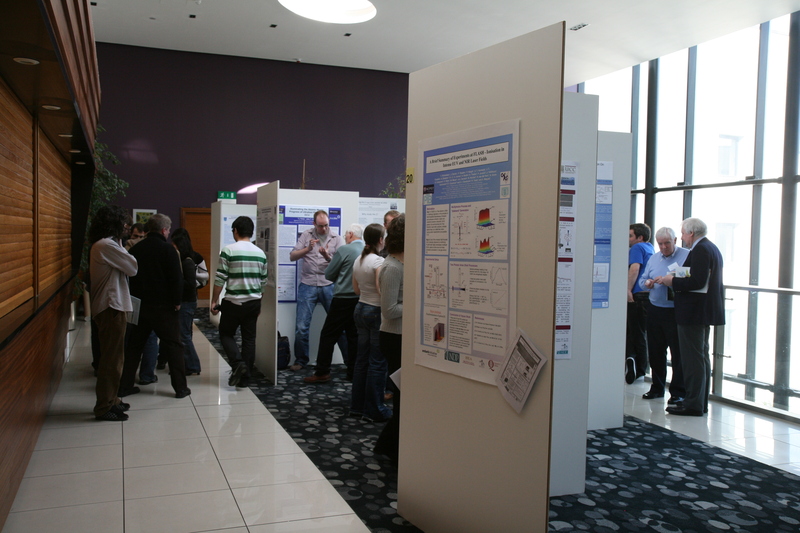 Events included an overview of current research in the different colleges, the Rosse poster competition for postgraduate students, and a ‘physicist in the chair’ interview with Bill Phillips. The meeting went on all day but I only caught the dinner and talk due to teaching commitments. Bill’s lecture was very entertaining. Entitled ‘Time, Einstein and the coolest stuff in the universe’, he gave a simple overview of the hows and whys of laser cooling (the cooling of atoms to extremely low temperature in order to study them in slow motion). From a description of the Heisenberg Uncertainty Principle to Bose -Einstein condensates, the talk was clearly accessible to students yet worked well with a roomful of professionals. I have often noticed this before; people love being told what they already know (and we are all on the lookout for tips in science communication). My only complaint was that the lights were too bright during the during the lecture and too dim during the meal, wrong way round! At dinner, my nearest neighbour turned out to be a climate skeptic. I was intrigued as one rarely encounters skeptics of the theory of man-made global warming amongst professional physicists nowadays. However, I didn’t hear any new arguments, merely a discussion of our ignorance of the role of cloud formation in weather. (A valid point, but hardly a reason to disregard the well-established correlation between greenhouse gas emissions and temperature rise). Indeed, my neighbour seemed unaware of the excellent research being done in this area by several physicists in his own department. After dinner, a few of us retired to a nearby hotel bar to catch up on the latest in physics, not least, the breaking news of the resignation of the head of the OPERA neutrino experiment. All in all, an interesting night out for a nerdy physicist.. 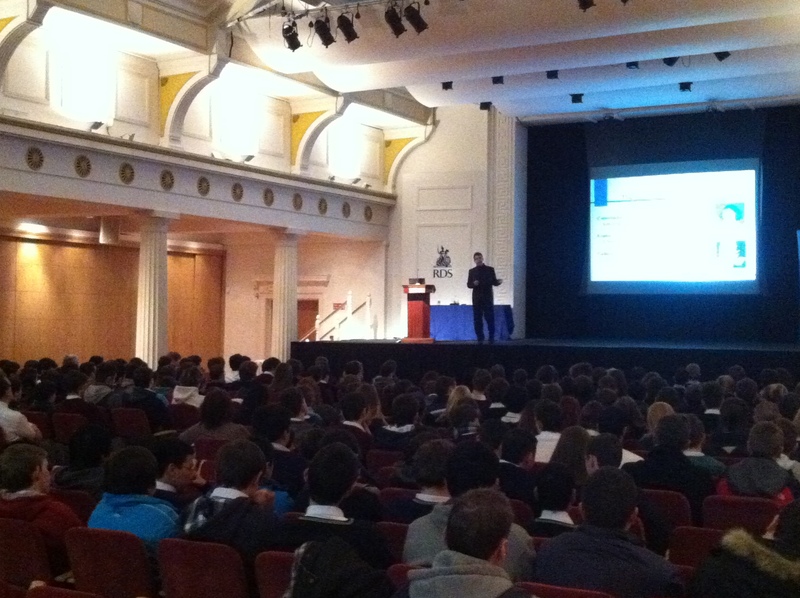 This week I’m on tour, giving the annual Tyndall lecture of the Institute of Physics to secondary school students. Yesterday I gave two lectures at University College Cork, today I was in the University of Limerick, tomorrow I’ll be at NUI Galway and on Friday I’ll be talking in Queen’s University Belfast. The biggest event is a set of twin lectures in the main hall of the RDS in Dublin on Thursday. I decided to give a talk titled ‘The big bang – is it true?’ because this is the question I am most frequently asked. It is also the title of my book-in-progress so the tour is a good dummy run (I gave a similar talk to the Graduate School of Arts and Sciences at Harvard last year). The abstract can be found on the poster below and the slides are on my Seminars Page. So far, the lectures are good fun. 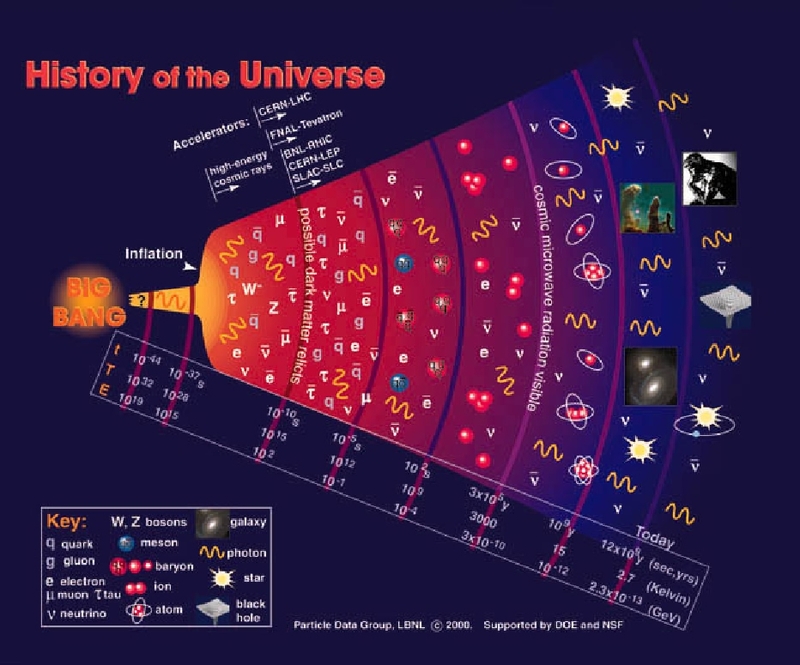 I address the question by giving a brief overview of the main experimental discoveries that underpin the big bang model, with a little bit of theory along the way. I also explain the main flaws of the model, not least the problem of the singularity (while we have a highly successful model of the evolving universe from its first moments, we have no knowledge of the bang itself, or even know if there was a bang. Nor will we, until we learn how gravity, space and time behave on the quantum scale). I am constantly amazed by the number of scientists who are unaware of this problem. There are always plenty of questions afterwards. I enjoy this part the most, it’s astonishing how the same questions come up agin and again. What happened before the bang? What is outside the universe? How will it end? All in all, the tour is great fun if a little tiring – a lot of traveling and searching for lecture rooms and hotels. 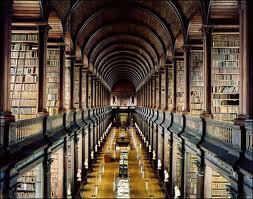 I’m also becoming an expert on university campuses in Ireland. My favourite so far is University College Cork. 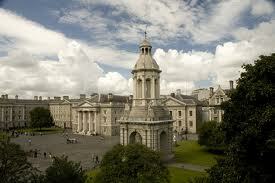 Beautiful, old and tiny, it is nicer again than Trinity College Dublin. On the other hand, the University of Limerick is very like University College Dublin with its fantastic grounds and playing fields. Meanwhile, the future of my own college (Waterford Institute of Technology) remains uncertain. Local interests have been campaigning for many years for a regional university and it is true that the city and surrounding regions have suffered by not having a university. (The best and the brightest school-leavers head to college in Cork and Dublin and don’t come back – not to mention the problems in attracting industry to the region). As WIT is respected academically for its research output, there is now a strong political wind to upgrade the college to university status. However, the proposed upgrade has triggered a campaign to amalgamate and upgrade all the Institutes of Technology to university status. Like many academics, I think this would be a pity because the binary system of universities and Institutes has served Ireland very well (the latter are of slightly lower standard and more practical bent). So it’s a tricky situation, hard to know what the best solution is.. 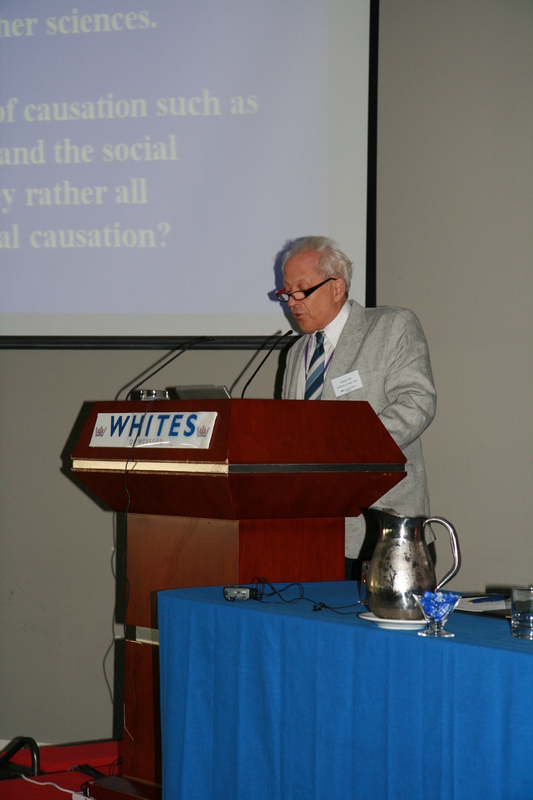 The teaching term ended with the Spring Meeting of the Institute of Physics in Ireland. These annual IoP weekends are quite unique as they are more relaxing than a technical conference and a great way of keeping in touch with physicists from all over Ireland. At the same time, there are usually plenty of good talks on general topics and this year was no exception. As ever, as well as the seminars, there was a physics pub quiz on Friday night, an enjoyable conference dinner on Saturday and a highly competitive postgraduate poster competition throughout the weekend (the winners are listed on the meeting website above). The theme of the 2010 meeting was particle physics and a strong program of talks was offered on Saturday: a brief history of 20th century particle physics (by Peter Kalmus of UCL), a description of last year’s accident at the LHC (by Steve Myers, director of accelerators at CERN), a description of the upcoming experiments at the LHC (by Ronan McNulty of UCD and the LHCb experiment), an overview of recent developments in measurements of the cosmic microwave background (by Hiranya Peiris of UCL), and a brief summary of applications of particle physics in medicine (by Lynn Gaynor of the Mater Misercordiae University Hospital). You can see the full programme on the IoP website. I thought it was a really good idea to start with a general overview of particle physics and Peter Kalmus didn’t certainly didn’t disappoint. Starting with a slide on Rutherford’s discovery of the nucleus, Peter traced the evolution of particle physics from 1911 to the 1970s. From the beginning, he placed great emphasis on the relation between theory and experiment, and between the fundamental forces and particles, explaining how neutrinos were ‘invented’ (predicted) by Pauli and pions by Yukawa, and describing the subsequent experimental discovery of these particles. Then it was on to the particle zoo of the 1950s, where unexpected and unwanted new particles were suddenly being discovered regularly and experimentalists ‘faced the prospect of paying a fine”! The simplification of the new particle physics by the development of quark theory by Gellman and Zweig was explained and the discovery of evidence for quarks in the famous scattering experiments at SLAC described. Finally, Peter explained the prediction of new heavy particles (W and Z bosons) from the elecro-weak unificaton program of Salaam, Glashow and Weinberg and went on to decribe his own role in the discovery of these particles in the famous CERN experiments. Steve Myers stared his talk with one of my favourite slides (below), explaining succintly the importance of the TeV energy range for both particle physics and cosmology. He gave a brief overview of the engineering challenges involved in achieving beam collisions at that energy, touching on almost every aspect of engineering technology imaginable, from the civil engineering projects in the tunnel build to the use of superconducting magnets for beam bending, and the challenges of maintaining the extremely low temperatures and extremely high vacuum necessary for the experiments. He then gave an overview of last year’s accident and the steps taken to repair the damage and ensure such an event does not re-occur (and yes, it did come down to one joint that was simply not soldered, although other faults were subsequently found). All in all, Steve’s talk was a salutary reminder that the LHC is not just a large scale experiment, but a whole industry. Ronan Mc Nulty then gave a brief overview of the how and why of the experiments that will be done at the LHC. Central to this talk was an explanation of the role of symmetry in particle physics. By slid three, Ronan was talking about Noether’s theorem – a theorem of fundamental importance in physics that states that for every observed symmetry in physics, there is a corresponding law of conservation. He then moved on to the difference between local and global symmetries and how the masses of the W and Z bosons suggest an extra field in nature – the famous Higgs field. In the second part of his talk, Ronan explained the experimental approach of the four experiments at the LHC and how the LHCb experiment differs by talking a tangential slice of the beam rather than the cross-sectional ”cathedral’ approach of the larger detectors. 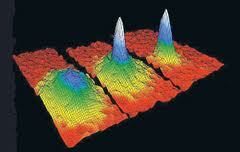 He finished with an overview of possible discoveries at the LHC, including candidates for dark matter. I couldn’t do justice to Ronan’s succinct talk, but you can find the slides on the IoP website. Dr Hiranya Peiris then gave a talk on current measurements of the cosmic background radiation and how they constrain models of cosmic inflation. This was a timely reminder of the connection between cosmology and the world of particle physics. As particle accelerators reach higher and higher energies, we can create and study particles that have not existed since shortly after the Big Bang; similarily, there is much information for particle physicists in the study of the cosmic background radiation. It is often forgotten that the basic idea of inflation was first postulated by particle physicist Alan Guth in order to address a problem in grand unified theory (the lack of obsevation of magnetic monopoles). Dr Hiranya’s talk was extremely clear and to the point;I won’t say more on it here but you can find the slides on the IoP website. The final talk of the day was a seminar on applications of particle physics in medicine. Medical application is often quoted as one of the major spinoffs of particle physics, so it was good to hear a full talk on the subject. Dr Lynn Gaynor brought us up to date with a description of advances in X-ray imaging, radiotherapy, nuclear medicine and positron emission tomography. She finished the talk by pointing out that medical physics is a very exciting career opportunity for a physicist, with a workload including the administration of physics-based therapies for patients, the teaching of radiation physics courses to medics and the involvement in innovative research projects. On Sunday morning, the ‘Physicist in the Chair‘ session featured Prof Alex Montwill, Ireland’s best known particle physicist. It was a highly appropriate choice as Alex was one of the very first Irish scientists to work at CERN and led a particle physics group at UCD for many years. It was a fascinating interview, with the legendary Tony Scott of UCD giving Alex the ‘This Is Your Life’ treatment, from his flight from Latvia after the war to Ireland, to his career at UCD. This was also another mini-talk on the history of particle physics, as Alex described the role of his group in the discovery of kaons. [The direct successor of that UCD particle group is the current group led by Ronan Mc Nulty that has a major involvement in the LHCb experiment, see above]. Alex taught legendendary 4th year courses in quantum theory and particle physics at UCD for many years and his thoughful approach spawned a whole generation of students interested in the philosophy of quantum physics. The interview also touched on Alex’s activities in the communication of science; an expert chess and international bridge player, he became very well known as a communicator of science through the radio series ‘The Laboratory of the Mind’ on RTE Radio 1. Alex also recently published the popular science book ‘Let there be light’ with Anne Breslin (more on this here). All in all, it was a super weekend, courtesy of the Institute of Physics. Next day, I flew to Geneva for a ski holiday: on the same flight were Ronan and Tara of the UCD group and Steve Myers (above), all on their way back to CERN for Tuesday’s switch-on! I was delighted to see the event got frontpage coverage in the French, Swiss and German press the next day (if not the British, see post below). 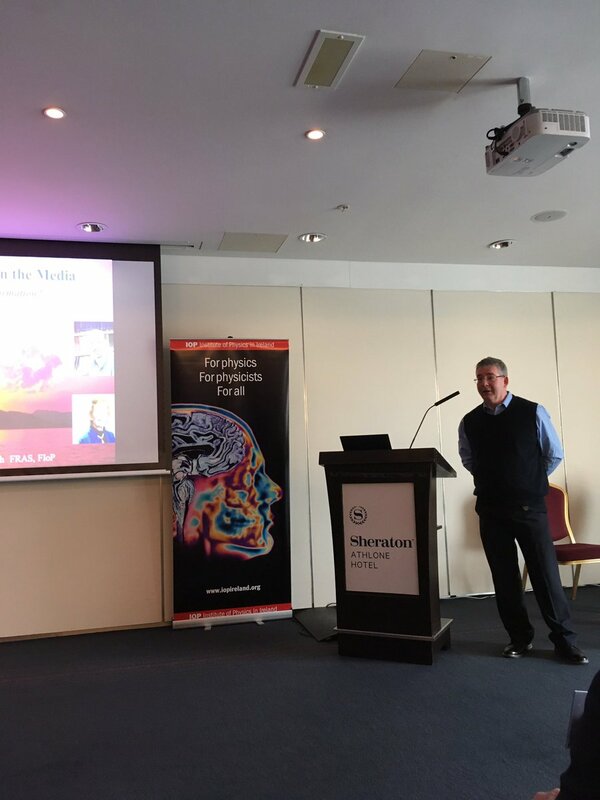 This weekend I was at the annual spring meeting of the Institute of Physics in Ireland in Wexford. I always enjoy these weekends – more relaxing than a technical conference and a great way of keeping in touch with physicists from all over Ireland. As ever, there were good seminars, a physics pub quiz and discussions of science and philosophy over breakfast, lunch and dinner (not to mention a 32-strong Wexford choir who gave superb after-dinner entertainment). At the same time, there was a serious side to the weekend with committee meetings, the Annual General Meeting and a highly competitive poster competition for postgraduates. The theme of the seminars on Saturday was ‘Physics for Life’ and it mainly concerned advances in medicine/ biology that have resulted from research in fundamental areas of physics such as atomic and molecular physics (Bob McCullough of Queen’s University Belfast), solar physics (Louise Harra of University College London), nano-photonics (Brian MCraith of DCU) and molecule manipulation using ‘optical tweezers’ (Martin Hegner from Trinity). I won’t attempt to describe each talk, but you can find abstracts of the talks here. Sunday saw a new IoP initiative – instead of more seminars, four well-known physicists were given the ‘This is your Life’ treatment in sequence. 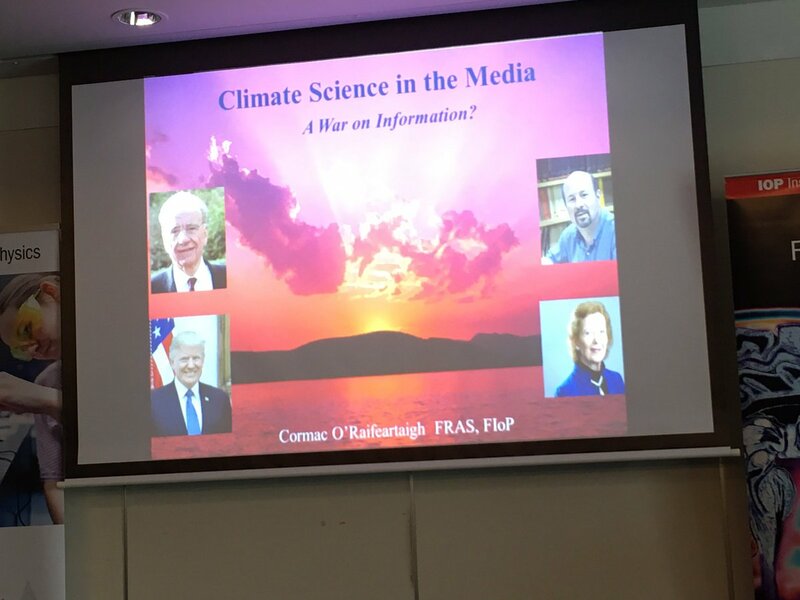 It was a great success, with the legendary Tony Scott of UCD interviewing Ronan Mc Nulty (on the LHCb experiment), Sile McCormaic (on her path to the world of cold atoms) and Ray Bates (reknowned Irish climatologist who was one of the first in the area of climate modelling). Best of all, the very first interviewee was Dame Jocelyn Bell-Burnell, the Belfast-born astrophysicist famed for her discovery of radio pulsars. (She is also President of the Institute of Physics). Professor Bell gave a fascinating overview of her life in physics, from failing the 11-plus exam to Cambridge. Of particular interest was her description of the postgraduate work leading up to the famous discovery: the long build of the radio-telescope from raw materials, perservering to the end as team members drifted off, the discovery of an unknown source, convincing her supervisor she was onto something, the disappearance of the source and the stress of a possible mistake and lost thesis, the re-appearance of the source, the classification of the first pulsars….terrific stuff. 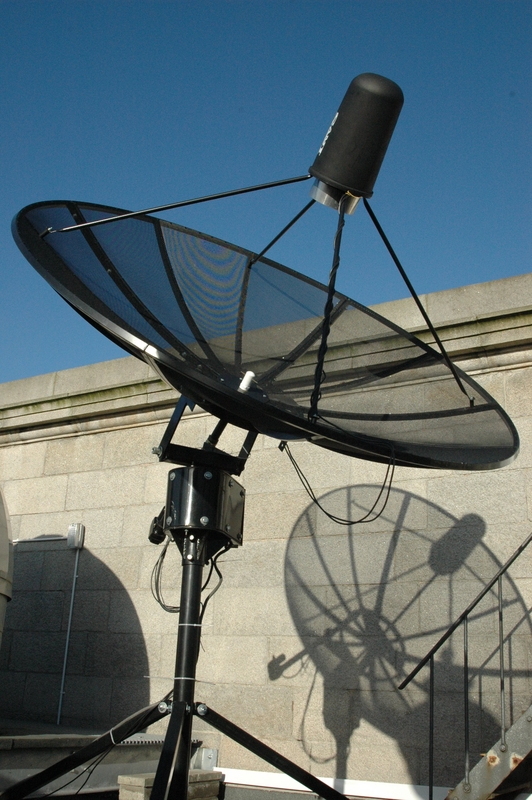 Professor Bell’s story was reminiscent of the discovery of the microwave background by Penzias and Wilson (see post here), but with one big difference. Bell was a highly trained astrophysicist, who understood clearly that she might have discovered an important phenomenon. For this reason, it is still highly controversial that, while her supervisor Antony Hewish was awarded the Nobel prize for this work, she was not. Was it because she was still a postgraduate? Because she was a woman? Perhaps we will never know. Apparently, there was a very good BBC documentary on the story a few months ago – I misssed it but I’ll try and track it down. As always, the most humbling part of the weekend was the postgraduate posters. The level of research made one feel seriously inadequate. You can find the results of the competition on the IoP website; choosing the winners must have been very difficult. I particularly enjoyed two posters from UCD on the LHCb experiment (an indirect measurement of luminosity using muon production rates, and the measurement the cross-section of Z boson -muon decay). Even there, Ronan had to explain to me how antiquarks arise in proton-proton collision; must revise my quark physics!